The Nevsky Design Bureau, which specializes in designing aircraft carriers, amphibious ships, naval aeronautical equipment, and naval-aviation simulator equipment, is ready to build a second Indian aircraft carrier. Located in St. Petersburg, the Bureau has been actively involved in designing India’s indigenous aircraft carrier, the ‘Vikrant’. The Neva Design Bureau is ready with plans to construct a second aircraft carrier for the Indian Navy. Neva’s plans include either the design of the ship as a whole, or several of its individual components. Russia has received an offer to participate in the tendering process for such a ship, Sergei Vlasov, general director of the Neva Design Bureau, told RIA Novosti. The Design Bureau was actively involved in the building of the first national (built in India), Indian aircraft carrier, the ‘Vikrant’, which was launched on June 11, 2015. The Indian media earlier reported that the second national aircraft carrier, the ‘Vishal’, is likely to be a nuclear- powered vessel with a displacement of around 65,000 tons, and will be able to carry 50 aircraft. Rosoboronexport said earlier this year that Russia would agree to participate in building a new aircraft carrier, if such an application does come from India. “The Indian side is choosing partners to participate in the design of their new aircraft carrier. The Russian side has received a request to participate in the corresponding tender. Our company can offer everything; the entire ship as a whole and/or its component parts. 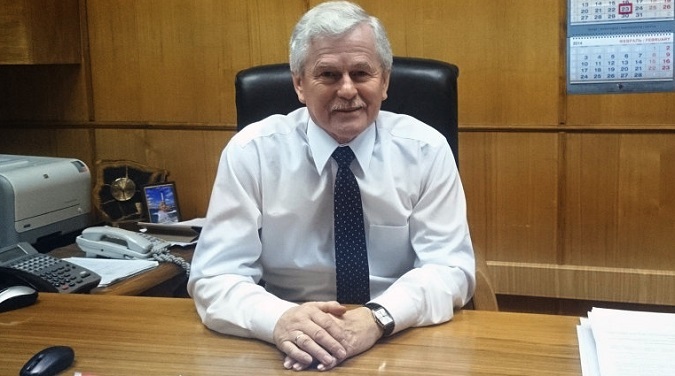 We are very interested in co-operation with India,” said Vlasov. He added that the Neva Design Bureau continues to work with India on the Vikrant. The company’s specialists are working to develop the aviation-technical equipment for the ship; they have created ​​the technical design of this vessel. Other work on the aircraft carrier is being done by other countries, and India itself. According to reports, the Vikrant should be placed into service by the Indian Navy in 2018. The displacement of the Vikrant will be about 40,000 tons, and it will be armed with anti-aircraft missile systems, and high-velocity artillery. The ship will carry carrier-based Russian-made MiG-29K/KUB fighter jets and helicopters. They also plan to use Indian ‘Tejas’ fighter jets (developed and built by the Hindustan Aeronautics Limited, the jets are also known as LCA – Light Combat Aircraft) on this ship. In November 2013, the Indian Navy officially received the aircraft carrier ‘Vikramaditya’ (formerly the Admiral Gorshkov), which was totally refitted and modernized at Sevmash Shipyard. In January 2014, the ship safely reached the wharves of the Indian port of Karwar. In 2015, representatives of Sevmash and the Indian Navy signed a contract to provide technical assistance for maintenance of the aircraft carrier after its warranty period expires. Located in St. Petersburg, the Nevsky Design Bureau specializes in designing aircraft carriers, amphibious ships, naval aeronautical equipment, and naval-aviation simulator equipment.